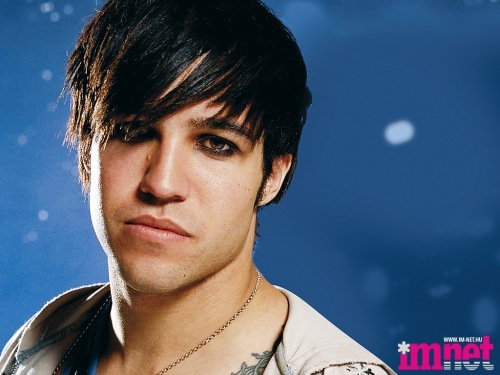 Rockdirt: In a public service announcement for the UK’s leading bullying prevention charity Beatbullying.org, Fall Out Boy bassist/spokesmodel Pete Wentz explained that he’s been online loads of times when people have been giving each other grief. “Anything that you wouldn’t say to someone’s face, don’t say it online on the computer,” Wentz said (Pete Wentz PSA Against Online Bullying). Peter Lewis Kingston Wentz III (born on June 5, 1979) better known as Pete Wentz, is an American musician, best known for being the bassist and primary lyricist for the American rock band Fall Out Boy. Since the announcement of Fall Out Boy's indefinite hiatus, Wentz has formed the experimental electropop group Black Cards. Wentz has also ventured into other non-musical projects, including writing, acting, and fashion; in 2005 he founded a clothing company called Clandestine Industries. He also runs a film production company called Bartskull Films, as well as a bar called Angels & Kings. His philanthropic activities include collaborations with Invisible Children and UNICEF's Tap Project, a fundraising project that helps bring clean drinking water to people worldwide. On May 17, 2008, Wentz married Ashlee Simpson. On February 8, 2011, Ashlee Simpson-Wentz filed for divorce, citing "irreconcilable differences" (Wikipedia).